Not that long ago you could have any wall tile you liked, just as long as it was a) white and b) square. Now there is an amazing array of different colours, textures and shapes to choose from, so you will find the perfect tile for your room and your budget! And with all the options available comes another question – how should the tiles be laid out? See below a quick guide to some patterns using different shapes and sizes from our Earthworks, Artworks and Winchester Tile Company collections. The classic way of laying field tiles. It looks great in whites, creams and strong colours too. Offset by the length of half a tile. This slight adjustment makes a big difference to the overall effect. Make a room appear bigger by placing square tiles on the diagonal. There are a number of rectangular shaped tiles that work the brickbond look beautifully: half tiles, metros, narrow bricks (also known as KitKat tiles) and chunky brick shapes. This is a very traditional layout, which is enjoying a great deal of popularity at the moment. 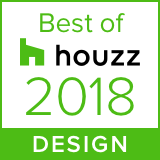 Why not join the conversation over at Houzz? Rotate the tile from horizontal to vertical and see the difference! You can place them straight or brickbond. This layout will help if you want make the room look higher. Use tiles of different sizes for a ‘random’ or more considered layout to create different effects. Are you inspired to try one of these for your project? Or do you need more help? Look out for next week’s blog which will include more information and guidance on many more tile layouts. And for more inspiring photography and installations browse the rest of our website and our Pinterest boards, Instagram, Twitter and Facebook pages.